And it might happen sooner than a Mars colony. Last year, the European Space Agency (ESA) announced plans for building a permanent lunar base—called Moon Village—which would be a step forward as the International Space Station (ISS) is slated to be decommissioned in 2024. 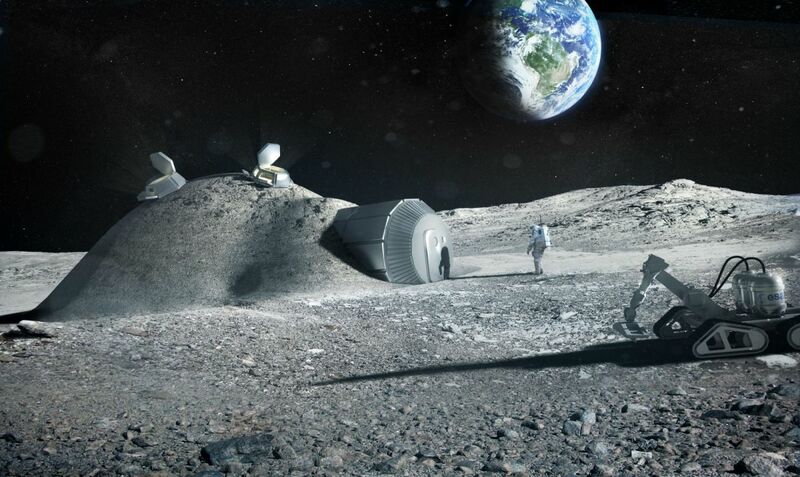 The Moon Village is a part of ESA Director General Johann-Dietrich Wörner’s Space 4.0 concept, a new epoch in the space sector where space exploration is no longer exclusive to the public sector but open to private organizations as well. Space 4.0 garnered worldwide cooperation, with all 22 ESA member states along with cooperating states outside the EU expressing support. After multiple rounds of lively discussion (as well as exhausting negotiations on funding), his proposal “Space 4.0 for a United Space in Europe” amassed €10.3 billion ($10.77 billion) in pledges. The “tinge of disappointment” comes from the Asteroid Impact Mission (AIM) failing to get financial support. AIM was supposed to be a defensive “learning exercise” that would use NASA’s Dart impactor spacecraft to deflect asteroids. “It was an example of ESA at its absolute best: daring, innovative and ambitious all at once,” he wrote. ESA isn’t the only one with eyes set on the Moon. British architecture firm Foster + Partners designed their own version of an inflatable lunar habitat with a catenary dome capable of shielding inhabitants from space radiation and small debris. The Google Lunar XPRIZE also challenged a battalion of claimants to aim for the Moon. India, Russia, Japan, and China’s space agencies are also in the race. As for extraterrestrial settlements, Mars is a competitor for NASA’s attention. But although Elon Musk plans to send humans to Mars soon, building a colony there would probably take longer than building a Moon Village. For one thing, a one-way trip to Mars alone takes three years—preparations not included, which is why the estimated timeframe for a Mars colony is reasonably set between the next 40-100 years. A trip to the Moon, on the other hand, takes only about three days. And because ESA plans to 3D-print structures out of materials from the Lunar regolith, the cargo necessary for each trip would be substantially lessened. Some people contend that funds and efforts spent on space exploration are a waste of resources, especially considering the fact that we have people starving and dying here on Earth to whom aid could be redirected. While that’s true, scientists argue that if we do not build alternative settlements away from Earth, it’s highly probable that the entire species (and the entire planet) would be snuffed out at some point—whether it be due to an outside force such as a comet, or an internal conflict such as warfare. A colony outside the Earth would play an important role in the survival of the human race—a “backup” for the species, if you will. Looking ahead into the long-term future—a hundred, a thousand, a million years forward—is a grueling job that has to be done. Scientists and futurists take it upon themselves to look at the larger picture, beyond religion, politics, and other social issues, to see the human race in the context of a colossal universe in which we are nothing but an infinitesimal speck, struggling to beat the cosmic odds. So maybe it’s time to heed their advice.